The weather looks reasonable, so let’s try for some guerrilla stargazing at Solstice park tonight. Come stargaze with us at Solstice park tonight. 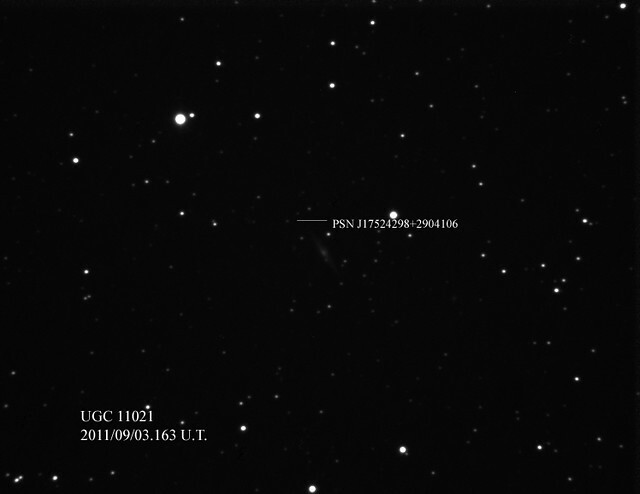 We’ll be looking for Comet Garradd and Supernova PTF11kly in Galaxy M101 through telescopes. Here’s approximately what those might look like with out telescopes. They will not be visible to the naked eye. Begin civil twilight       6:00 a.m.
End civil twilight         8:16 p.m.
End astronomical twilight  9:34 p.m. This event is my part of the NASA’s Solar System Ambassadors program, and thanks toWest Seattle Blog for publicizing the last few!